Consumer Reports asked 1,000 Americans to rate typical complaints about doctors on a 1 to 10 scale with 1 meaning "you are not bothered at all" and 10 meaning "you are bothered tremendously." Doctors often guess that the commonest complaint patients would have would be " long wait for doctor ". This is indeed bothersome , but not as much as an "unclear explanation of my medical problem," which was number one on the list of patients' gripes with a score of 8.3 on that 1 to 10 scale. ( Other complaints included being "rushed during office visit" (7.8); "side effects (of medication) not fully explained" (7.6); and "doctor takes notes on PC not looking at patient" (6.2). Doctors need to remember that the number one complaint patients have is that they feel their doctors keep them in the dark. It takes time to explain to the infertile patient what's wrong with her , and what the infertility specialist can do to fix it. Sadly, the one thing IVF doctors are always short of is time. Since doctors will not be able to create more time in their already packed schedules, they need to use technology in order to allow patients to self-serve themselves the information they need. This way, rather than the doctor have to sit and repeat the same explanation for every patient, they can create tools which the patient can use to learn more about their medical problem. 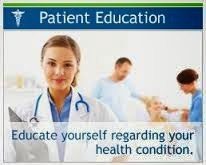 Not only will this save the doctor a lot of time, so that they can focus on the other pressing concerns of the patient, it will also ensure the patient is better informed about their treatment options. Is your doctor too busy to explain the risks and complications of IVF to you ? Please send me your medical details by filling in the form at www.drmalpani.com/malpaniform.htm so that I can guide you properly ! In a national survey, Consumer Reports asked 1,000 Americans to rate typical complaints about doctors on a 1 to 10 scale with 1 meaning "you are not bothered at all" and 10 meaning "you are bothered tremendously." Seminar audiences of physicians often guess "waiting," or "inconvenient office hours." They're indeed bothersome to people but not as much, it seems, as an "unclear explanation of problem," which was number one on the list of patients' gripes with a score of 8.3 on that 1 to 10 scale. Other complaints included being "rushed during office visit" (7.8); "side effects (of medication) not fully explained" (7.6); "long wait for doctor in exam or waiting room" (7.6); "inconvenient office hours" (6.5); and "doctor takes notes on device, not looking at patient" (6.2). Let's deal with that number one gripe: unclear explanation of problem. Here are some tested tips for avoiding this complaint.